1. What is a Remote Terminal Unit? 2. Why is RTU popular? 3. 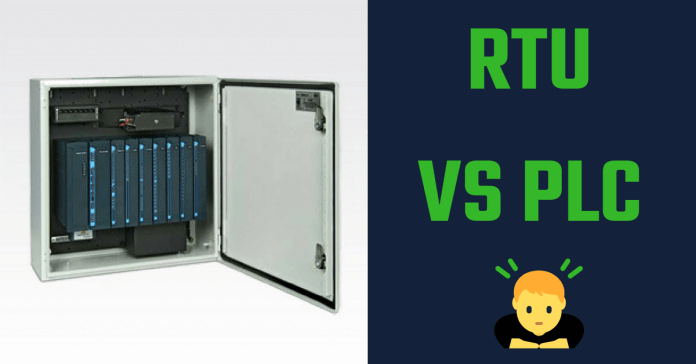 Remote Terminal Unit Vs PLC: Which is Right for You? #1.What is a Remote Terminal Unit? They serve data from input streams in control loops to an output stream to be forwarded on to centralized control in industrial control systems. RTUs automatically negotiate connections to either local or remote controls. RTU started to be used by the U.S. oil and gas industry in the 1980s and gradually expanded to electricity, environmental protection, heating networks, water conservancy, and long-distance pipelines. #2. Why is RTU popular? RTU is gaining popularity. The enterprise increasingly needs information. In the past, some measurements were given up because they are scattered and the cost to collect data is too high. Now data collection is needed. As enterprises increase in size and mergers occur, groups can span across cities or even some provinces. Central management requires remote data collection. As RTU costs decrease, enterprises that gave up remote data collection because of high investment costs are starting to implement RTU systems. RTU technologies have advanced. Communications, Internet, database, and signal transmission technologies also promote wider RTU use and market expansion. Industrial wireless transmission technologies provide new RTU signal transmission methods. Some newly emerging industries, such as solar power plants, wind power plants, and smart buildings, are new applications for RTUs. Previously, we heard of digital oil fields, digital petrochemistry, and digital pipelines. Recently I heard about digital mines in the metal mineral industry, and I also heard propaganda about a “digital city,” although we are still far from it, actually. #3.Remote Terminal Unit Vs PLC: Which is Right for You? In my opinion, RTU can be defined narrowly and broadly. RTU in a narrow sense is defined as the basic components of a SCADA (supervisory control and data acquisition) system. RTU in a broad sense is defined as the remote input/output (I/O) connections used by control systems, including PLC, DSC, field control systems (FCS), and SCADA. The earliest SCADA had only data collection capability and RTU had two basic functions: data collection and processing, and data transmission. expanded, RTU added PID control, logic control, and mathematical computation (such as gas temperature and pressure compensation). So RTU for SCADA and remote I/O of PLC, DCS, and FCS have some common and different attributes. 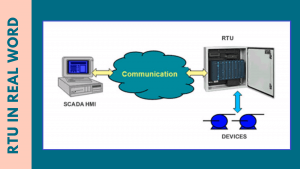 RTU for SCADA can be connected to a control system comprising PLC, DCS, and FCS. We connected a remote supervisory and control terminal (an RTU product from Schlumberger) to a DCS system in the 1990s. 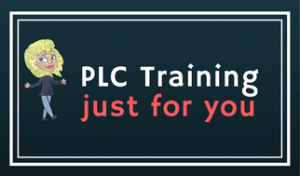 Remote I/O and even PLCs, DCSs, and FCSs can be connected to SCADA systems.